1. WHY YOU CHOOSE HIMAKE??? 2. What is Himake’s advantages? 3. What is the Himake’s Philosophy “One world, One family, One Himake”? 4. What is the Himake products advantages? 5. What Products Standards does HIMAKE apply to the products? 6. Do we accept ODM or OEM? 7. How to ship the goods? 8. What is the MOQ? 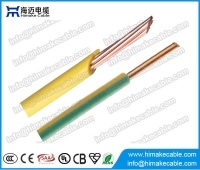 1) Himake has been specializing in Electrical cable manufacturing, R&D, sales and service since 2004, it is your strong and reliable electrical cable supplier! 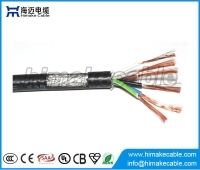 2) Himake has more than ten years' experience of Electrical cable exporting, it is very professional to different standards, like IEC, GB, BS, VDE, AS/NZS, UL, etc, ensuring us to understand your cable very well. 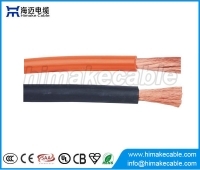 3) Top quality raw materials + Advance Production Equipments + Strict Production Process and Quality Control System, ensuring good quality electric cable to you. 4) Himake service team is composed of more than 20 skilled engineers and sales, ensuring us to understand you very well, serve you the right you need, saving your cost and time! 5) "One World, One Family, One Himake" is Himake's philosophy, "Top quality products with most competitive price and 5-stars service" is Himake's name card. We are family of Himake, we trust each other, walk forward together to build long term win-win co-operations! Your success is the biggest success of Himake! 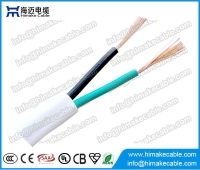 Himake had been specializing in the Electrical Industry for more than ten years, the main products covers electric wires and power cables from low voltage to high voltage, Communication cables including Networking cable and telephone cable and optical fiber cable, Signal cable including audio/speaker cable and video/coaxial cable and security alarm cable, Instrument control cables, Aerial cable including ABC,AAC,AAAC,ACSR,ACAR,etc. 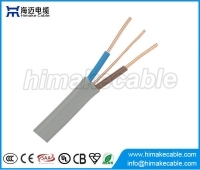 Hook-up wire, fire rated cable and Solar cable, etc. 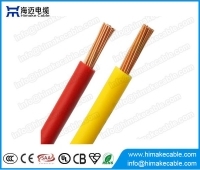 We are very familiar with these cables standards, we are a very professional manufacturer and supplier of these cables. We can provide what you need exactly with professional advices and most reasonable price, let you get what you need easily, saving your time and cost. First, Himake regards all the customers as the members of a family, offering honest business with kindest and thoughtful service, promoting our mutual development. Second, each of us live on earth, the earth is a big house for all of us, we are a family, we love each other, protecting our big house together, making our home more and more beautiful, Himake try to be a Green Business Company, offering environment friendly products and service, contributing to the earth environment protection. Third, Himake appreciates and praises everyone has a positive dream, we are a family with them, assisting them to achieve the dreams. First we use good quality and Rohs compliant raw materials to make our products, we manage the production process and quality inspection step by step strictly, ensuring the products complying with the standards or the customer’s requirement. 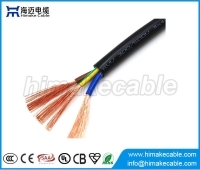 Second, we have more than ten years’ electric wire and power cable manufacturing and exporting experience, we are very professional to improving the products quality and reducing the cost for our customers. “Top quality with most competitive price” is one of our name cards. 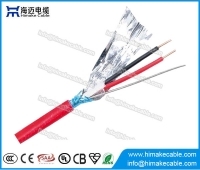 HIMAKE can make electric wire and power cables complying with many products standards, like IEC,GB,BS,VDE,AS/NZS,UL,etc, also the customer's requirement. We had exported our products to more than 60 countries over the world with good reputation. 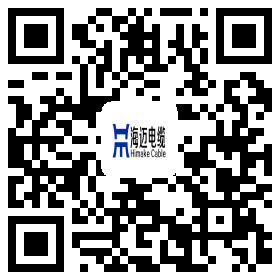 Our own brand is HIMAKE, it is a very famous brand and a symbol of high quality. We also accept ODM and OEM, try to help our customers to build their own brands. 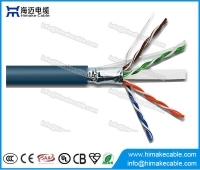 Our main products is electric wire and power cable, it is heavy goods, so the normal shipment is by sea with 20ft containers FCL for saving cost, but for communication cables and optical fiber cables, it is a little light relatively, it is better to use 40ft containers FCL by sea. 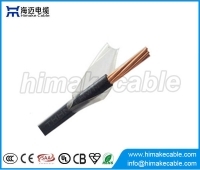 For the electric wire and power cable, normally the MOQ is 10000 meters for small size products, 5000 meters for medium size products, 1000 meters for big size products. For the communication cable, the normal MOQ is 100 boxes. Also the trial order is accepted before mass production.